words, originally uploaded by Charger’s Mommy. 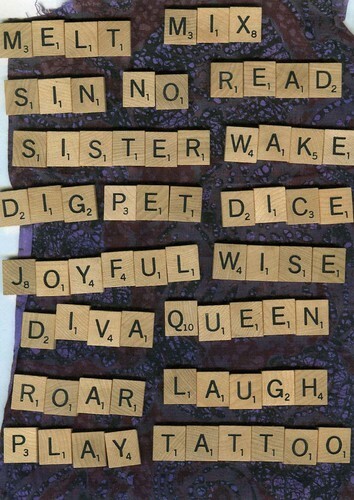 Playing with some scrabble tiles and my scanner. Please feel free to download and use this word sheet in your collage! and be sure to share your art with me when you do! This entry was posted in Passions and tagged art, collage, images, printout, text, words on January 24, 2008 by Sheba.